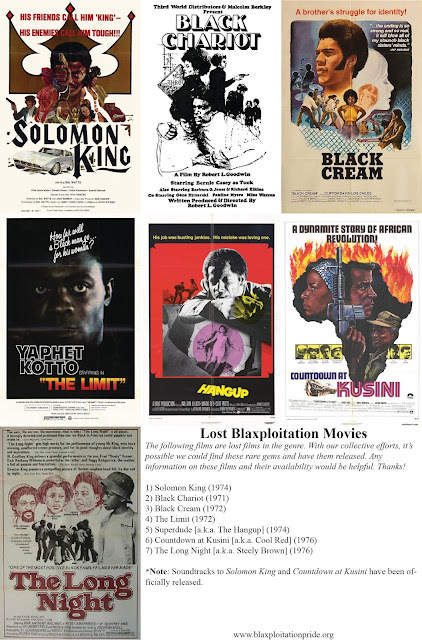 With the efforts of those who love blaxploitation around the world, we can find these films! Please contact us if you have any information on these films. The American Genre Film Archive have found a 35mm print of 'Hangup' (1974). Hopefully that will surface for the public to see. Also read that 'The Long Night' (1976) has been found too. Unfortunately we can't watch them, but at least now we know they're not lost. Thanks Zach. I will try and reach out to them and let them know they have people that are interested in the film.